Moscow hosts a great number of events of particular interest to hipsters and, in general, to intellectual youth. As a rule, such events combine several kinds of activities. Themed festivals offer classes, markets and trendy music concerts. Bicycle parades welcome people in costumes. Of special interest are events entered around haute cuisine, state-of-the-art technology, vegetarians, fans of contemporary literature and, of course, connoisseurs of the latest trends in youth fashion. Afishi PicnicRussian: Пикник «Афиши» is one of Moscow’s largest open-air music festivals, gathering over 50,000 spectators annually. 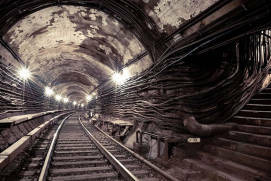 It was first organized in 2004 by the Moscow magazine AfishaRussian: Афиша. Since 2007, it has been held in Kolomenskoye ParkRussian: парк Коломенское. Many musicians and music groups have performed on the Picnic stage, including Blur, Jamiroquai, Suede, Pet Shop Boys, La Ru, Madness, The Editors, Hercules and Love Affair, AkvariumRussian: Аквариум, ZemfiraRussian: Земфира and Mumiy TrollRussian: Мумий Тролль. Among the key acts of 2017 were Kasabin, Foals, GribyRussian: Грибы, A$AP Ferg, 5’nizza and many more. It is no coincidence that the word ‘picnic’ features in the name of this festival, since a vast array of food is on offer. In 2017, visitors to the festival’s food court had a choice of beverage based on Chinese tea with popping bubbles and pieces of coconut from Tea Funny, steam-cooked bao buns will fillings from Chicha, a Peruvian restaurant, mutton, turkey or crab hot dogs from Dog Eats Dog, Vietnamese soups from PhoBo, brownies from BrownieMama and much more. A local market sells designer labels, decorations, vinyl disks, ceramics and unconventional furniture. Guests have a wide variety of things to do such as games, movies, performances, photography and barista classes. A make-up corner offering make-up and a photoshoot is open to ladies, along with a barbershop for men. Dance battles, immersion into virtual reality with Sony, badminton championships and many other activities are also available. Initially, the term ‘geeks’ referred to people interested in the latest technologies and gadgets. Later, it was applied to any person passionate about some highly specialized topic. 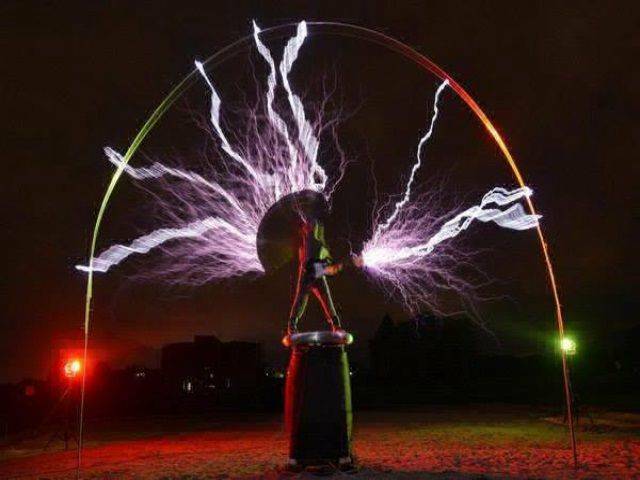 Created by geeks, for geeks, the Geek Picnic Festival focuses on science, creativity and state-of-the-art technologies. 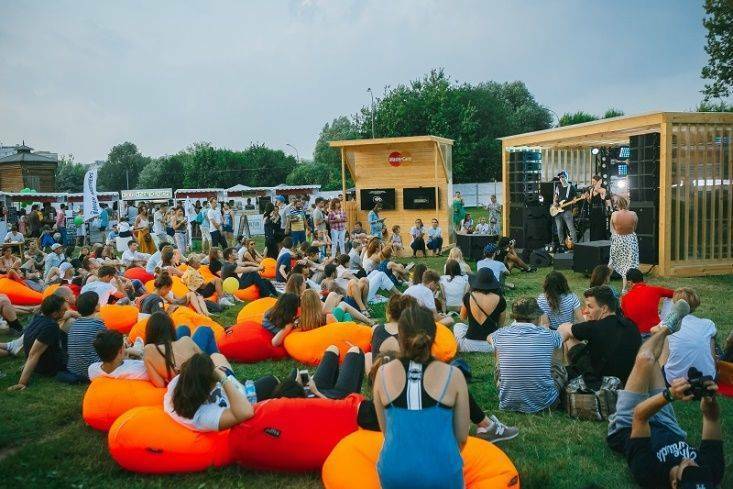 Moscow has been hosting this open-air festival since 2014. In 2017, the topic of the festival, funded by the anti-virus Kaspersky Laboratorya multinational cybersecurity and anti-virus provider, was Mind GamesRussian: Igry razuma or Игры разума. 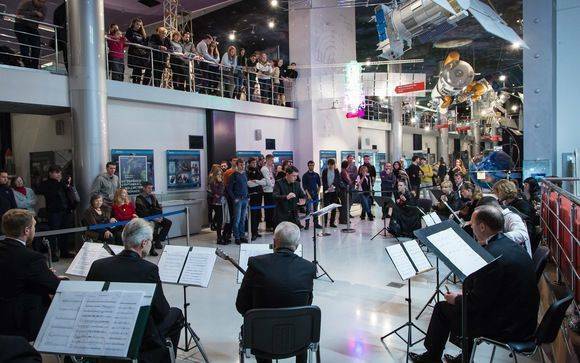 The event featured presentations by the astrophysicist Lawrence Krauss, biologist Aleksandr Panchin, the founder of Future Foundation Pyotr Levich, neurobiologist Vasily Klyucharov and many others. World-famous scientists discussed a number of topics, including the search for extraterrestrial intelligence, art in the near future, self-awareness in animals, micro- and nanobionics. Lecture attendees were shown scientific films and virtual reality helmets, modules of a Martian space station, a bionic hand controlled by neurosignals and other technological advances. As well as science, entertainment was also available. 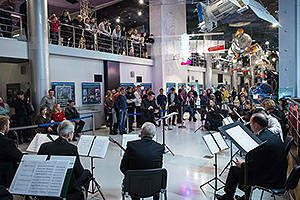 Visitors could examine robots, observe scientific shows, enjoy drone competitions and play arcade-like and indie games. A food truck festival and music concerts were also held at the same time. Elena Kamay’s project, Lambada MarketRussian: Ламбада-маркет, grew out of a small garage sale. Today, it combines an online store and a monthly urban fair selling vintage clothes and footwear, handmade decorations, organic beauty products, accessories and home decorations. Almost all of the items are custom-made or otherwise unique The project brings together thousands of small shops and hand-made goods. Visitors can talk with those who created the objects they are interested in, and the carefully selected creators are constantly changing. This is a great venue for young designers to enter the market. Every market has a food court. Craft burghers, quesadillas, falafels, hummus and noodle boxes are some examples of on-trend street food you can find at the markets. The Aperol Spritz cocktail was announced as the main drink of the fair in 2017. At Lambada markets, indie rock, house, Calypso and Balearic music are regular sounds. The fair also has games (petanque, among others), classes, psychological counselling, lectures and movie screenings. The Lambada Market had its first night in 2017. This major open-air music festival takes place annually in one of Moscow’s markets. In 2017, Tsaritsyno ParkRussian: парк Царицыно hosted the festival, presenting the public with the latest trends in music. Among the festival’s main acts were John Newman, Parov Stelar, Sohn, Roots Manuva, the legendary Morcheeba and BravoRussian: Браво, The Boxer Rebellion and Sevdaliza, Vougal and Antokha MSRussian: Антоха МС. Another venue dedicated to DJ sets, the Johnnie Fizz Stage, was open to visitors in the Bazhenov HallRussian: Bazhenovskiy zal or Баженовский зал of the Great Tsaritsyno PalaceRussian: Bolshoy dvorets Tsaritsyno or Большой дворец Царицыно. 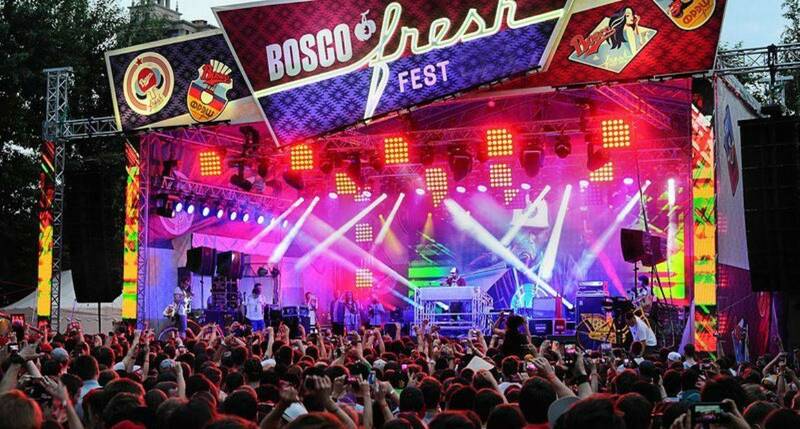 The Bosco Fresh Fest has also recently launched a new night programme for electronic music lovers. 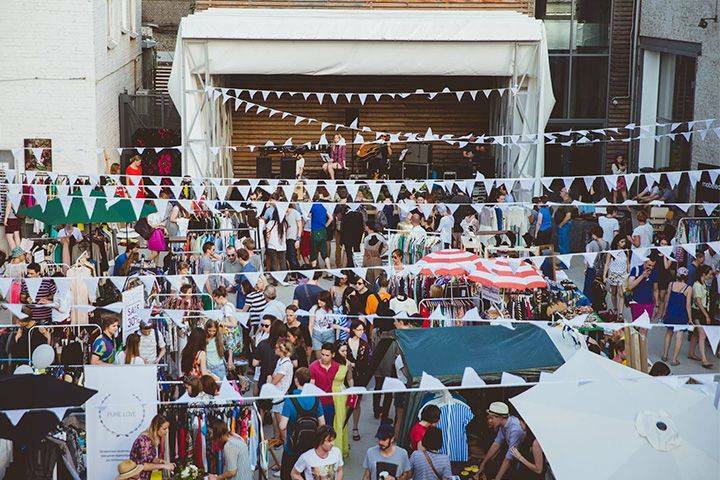 Like any other event attracting many hipsters, the Bosco Fresh Festival features a food court serving up trendy food along with its fair share of bars, along with art installations, lectures, classes, barbershops and many more. In 2017, the festival hosted the HUManitariumRussian: ГУМанитариум where speakers and guests discussed a variety of topics, including the City of the Future, restaurants of the new generation and novelties in the 21-century art industry. In just two days, guests participated in painting a giant space canvas and browsed clothing stalls at the Bosco Fresh Market. There were also volleyball tournaments and skating competitions. Visitors also had the opportunity to do some fencing and play badminton and chess. Faces&Laces is both an interactive exhibition and a street culture festival devoted to modern fashion, subcultures, visual communication and alternative modern art. 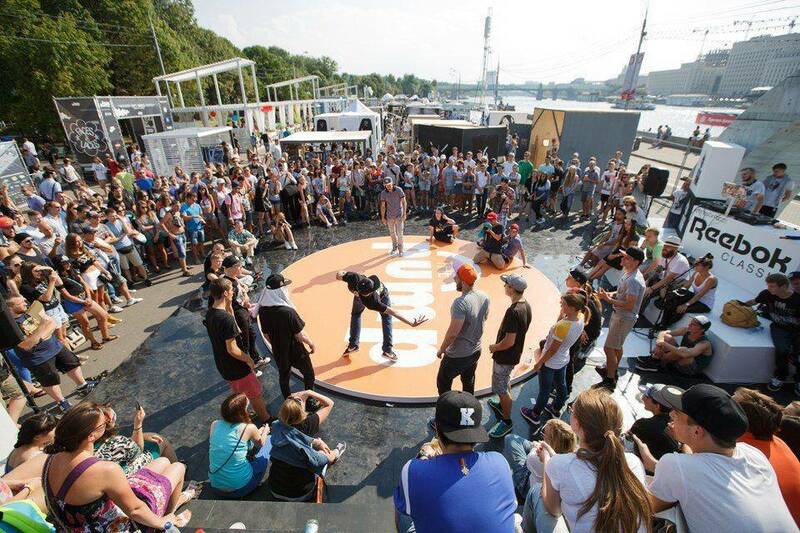 In 2017, Faces&Laces, held in Gorky ParkRussian: park Gorkogo or парк Горького, focused mostly on ‘subcultural localism’. Among the main participants in the exhibition were Russian and foreign clothing brands, retailers, designers, artists, DIY enthusiasts and creative associations. Every stall holder in Faces&Laces uses installations and stands to express freely his or her point of view within the parameters of the exhibition. Participants share their latest collections and developments with the public by telling the story of their creation and the rationale behind it. The undercurrent of support from visitors seeking alternative avenues of expression is integral to the success of the exhibition. Graffiti artists and alternative modern art representatives displayed their work in 2017. The Orlines Organization, an association of street photographers, designers and operators, presented their creations to the public. The stands showcasing Russian and international alternative brands of clothing and accessories highlighted many fascinating trends in street fashion. PasoshRussian: Пасош, a Moscow indie punk group, was the music headliner of the festival in 2017. Street food shops, a barbershop and a tattoo studio accompanied, as usual, the activities featured at the festival. Even if you are in a beautiful historic area or a tidy park, walking around the huge city takes up a lot of energy. For you to have a rest in the best way, on the pages of our website there is a lot of information about (the best restaurants in Moscow, bars and list of some Moscow nightlife tips. MosVegFestRussian: МосВегФест is a vegetarian festival held in Moscow since 2014. Its main objective is to bring together like-minded people. As of today, this is Russia’s largest festival for vegetarians, vegans and raw food enthusiasts. Smoking, alcohol, meat and dairy products are not on the menu, and neither are any products made in an unethical way. In 2017, the festival included a food court, a yoga venue, a playground and music. Among the stall holders were raw food and vegan cafés and shops, street food and handicrafts. Organic fruit and vegetables were available, as were cold pressed oils, vegan burgers and falafels, vegan ice cream, natural chemical-free beauty products, juicers and other specialized food processors, as well as cruelty-free clothing items. Those performing in the festival were vegetarians themselves. Among the invited speakers there were doctors, biochemists, bloggers and coaches who held discussions on healthy eating habits. Those interested in outdoor activities could visit a spherical cinema and a club offering archery classes. The Local Food MarketRussian: Market mestnoy edy or Маркет местной еды is open monthly, from April to October, in the courtyard of the Museum of MoscowRussian: Muzey Moskvy or Музей Москвы. The market is frequented by both foodies and professionals wishing to test their products and acquire new customers. Every Market focuses on a specific topic, such as Asian food or coffee. The groceries department is always open, and small family businesses sell fresh produce that you are not likely to find at any supermarket. VegMartsRussian: VegMarty or ВегМарты, or vegetarian food markets, are held monthly in various venues in Moscow. These markets offer food and products to vegetarians, vegans, raw vegans and lovers of organic food; there is also a playground available open for children. The aim of these events is to bring together like-minded people to communicate in a relaxed atmosphere. Among recent participants were the ZaverniRussian: Заверни Café selling pancakes with buckwheat and spinach or banana and chocolate fillings; Morkovka i OgurchikRussian: Морковка и Огурчик which sells vegetable sticks in small cups; BarbarumRussian: Барбарум offering a wide range of granolas; the Food of the GodsRussian: Pischa Bogov or Пища Богов Theobroma Company selling cacao and chocolate candy; natural cosmetics and cleansing agents; the MACENTA Café and many more. 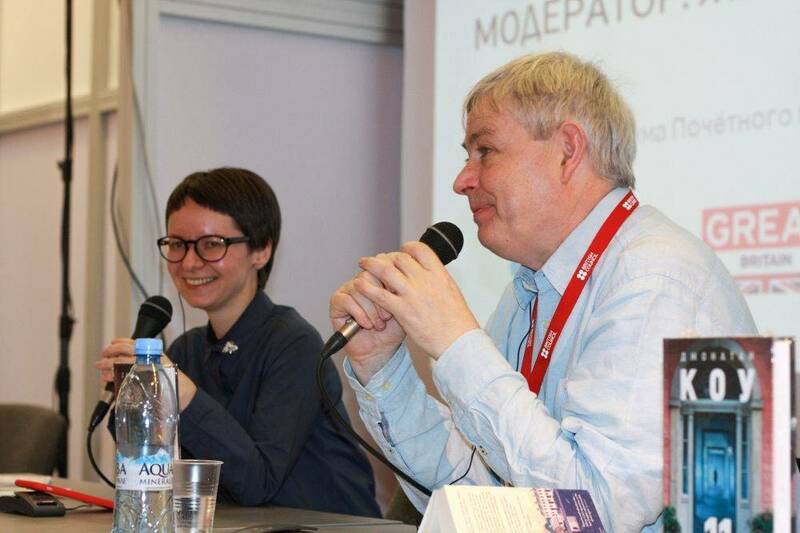 Non/fiction, an international intellectual literature fair, takes place every Autumn in the Central House of ArtistsRussian: Tsentralnyi Dom khudozhnika or Центральный Дом художника in Krymsky ValRussian: Крымский Вал Street. It features the best literary, scientific and popular scientific works of the day. Non/fiction appeared as an alternative to the mainstream literature market. Publishing houses from dozens of countries participate in this fair, which is attended by literary critics, journalists and numerous readers interested in high quality literature. 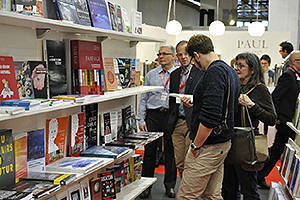 The fair always has an extensive programme on offer, including presentations of new books, literary discussions and meetings with authors and illustrators. British writers Julian Barnes, Jonathan Coe, Sebastian Folks and Andrew Davis were among the special guests that attended the fair in 2016. An antique book fair is also open, and music lovers would enjoy a visit to a stall focusing on vinyl disks, vintage devices, CD and accessories. 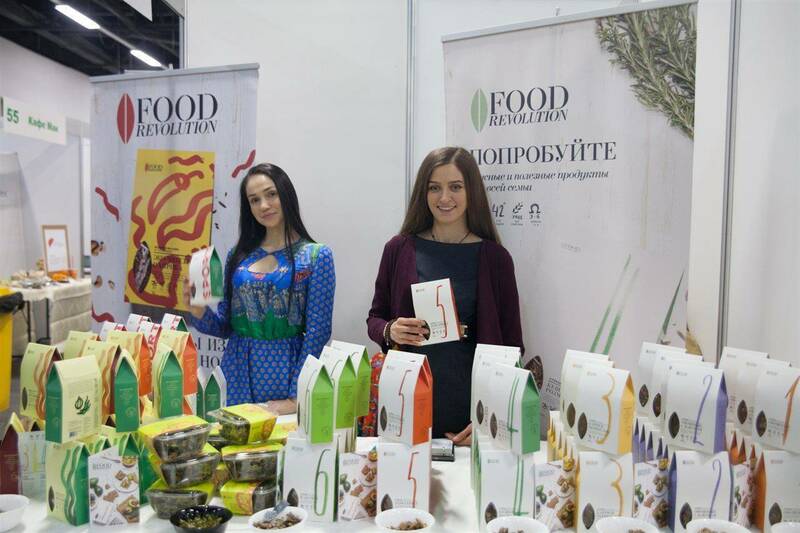 The GastronomyRussian: Gastronomiya or Гастрономия Department joined the Non/fiction fair in 2013. Cook books are available, as are food bloggers, caterers and chefs. The traditional children’s playground, Territory of KnowledgeRussian: Territoriya poznaniya or Территория познания, is an integral part of the fair. The central theme of the playground in 2017 was ecology, both the ecology of the world around us and literary ecology – according to the organizers, language, just like the Earth, needs protection from pollution. BiblioNightRussian: Biblionoch or Библионочь is an annual reading festival which takes place throughout Russia in April. On a specific night, libraries, bookstores, literary museums and art venues extend their opening hours and diversify the works they focus on. The aim of BiblioNight organizers is to breathe new life into libraries. In 2017, the Triumphalnaya SquareRussian: Triumfalnaya ploschad or Триумфальная площадь was the main venue of this festival in Moscow. The territory around the monument to Vladimir Mayakovsky was turned into an art space hosting poetry readings, classes and theatrical performances. The I. S. Turgenev Reading HallRussian: Biblioteka-chitalnya im. I.S. Turgeneva or Библиотека-читальня им. И.С. Тургенева offered visitors walking tours, film screenings for young people, classes, and all kinds of performances and flash mobs. Gogol’s HouseRussian: Dom Gogolya or Дом Гоголя featured The Library of Lost BooksRussian: Biblioteka utrachennykh knig or Библиотека утраченных книг, a programme offering classical and guitar music concerts, night film screenings and lectures. 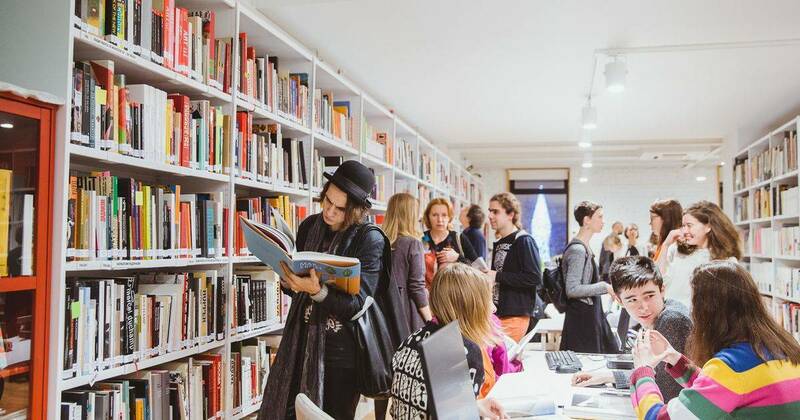 The Russian State LibraryRussian: Rossiyskaya gosudarstvennaya biblioteka or Российская государственная библиотека also organized tours to its book depository and readings rooms. Visitors were able to walk through the depository’s tiers, which are usually closed to the public, and examine rare editions and albums that once belonged to the Imperial House of Romanovthe second dynasty to rule Russia, after the House of Rurik, reigning from 1613 until the February Revolution of 1917. The All-Russian Night of the ArtsRussian: Noch iskusstv or Ночь искусств has much in common with BiblioNight: museums, libraries, theatres, cultural centres and concert halls organize a special evening programme, including music concerts, performances, classes, film viewing, excursions, discussions and readings. The main events of the 2016 Night of the Arts were timed to coincide with the Year of Russian Cinema. The Tretyakov Gallery on Krymsky ValRussian: Tretyakovskaya galereya na Krymskom Valu or Третьяковская галерея на Крымском Валу has a special project dedicated to Russian painter Ivan Ayvazovsky, and the sea. The best works of the award winners of Seychas&PotomRussian: Сейчас&Потом, a video art international festival, were projected onto the façade of the Darwin MuseumRussian: Darvinovskiy muzey or Дарвиновский музей. The State Historical MuseumRussian: Gosudarstvennyi istoricheskiy muzey or Государственный исторический музей of Russia showed a silent film, Year 1812 BorodinoRussian: 1812 god. Borodino or 1812 год. Бородино, followed by a public meeting with Pyotr Aleshkovsky, a Russian writer, historian and journalist. At the Stanislavsky ElectrotheatreRussian: Электротеатр «Станиславский», an audio installation was opened for everyone interested in listening to his or her own voice, and the Ballet Moskva TheatreRussian: teatr «Balet Moskva» or театр «Балет Москва» put on EquusRussian: Ekvus or Эквус, a one-act performance. Young musicians from the ½ Orchestra group, known for their funk, jazz and hip-hop musical compositions and playing only wind and percussion instruments, performed in the trains of the Moscow Central CircleRussian: Moskovskoe tsentralnoe koltso (MTsK) or Московское центральное кольцо (МЦК) rail line. 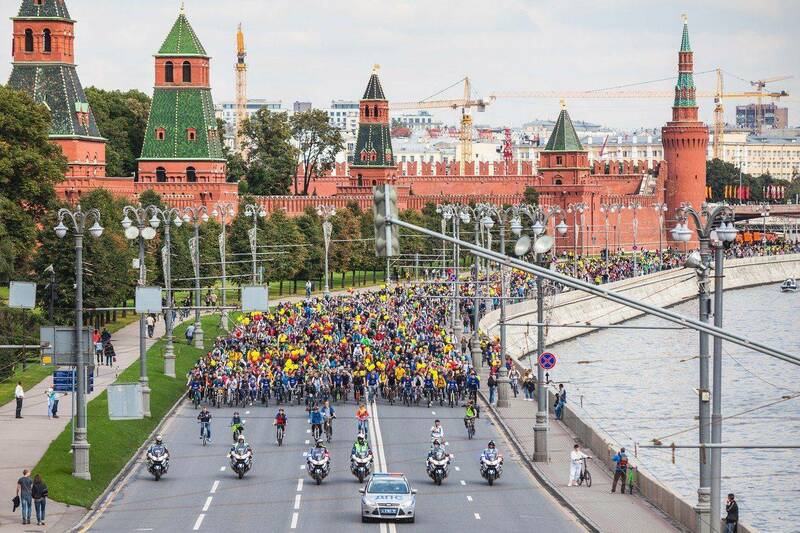 In 2017, the Moscow MarathonRussian: Krasochnyi zabeg or Красочный забег took place for the fifth time, with several thousand people running along Moscow streets. 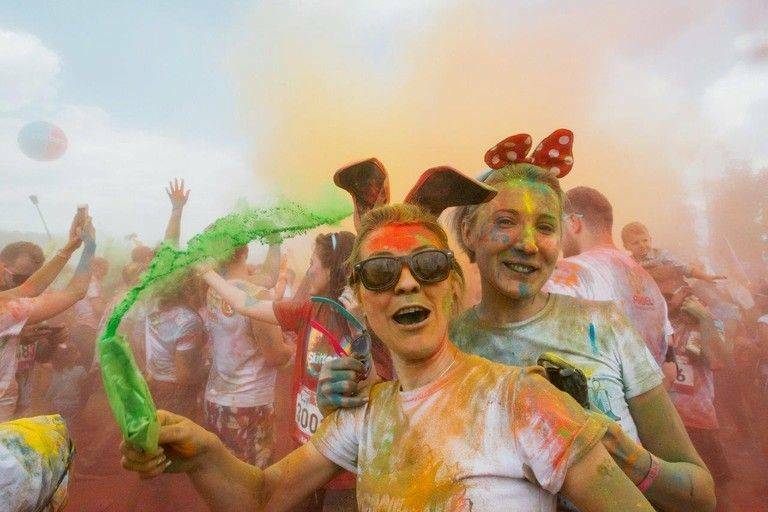 For participants in the five-kilometre fun run, the track looped through four colour zones, where participants were showered with bright paints, and finished with a flash mob. 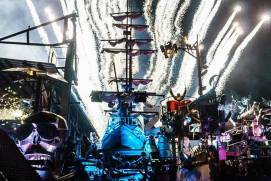 After the Award Ceremony, participants gathered by the main stage and simultaneously tossed the paint into the air, which was then followed by a fireworks show. The route of the 2017 Moscow Marathon ran around the Luzhniki Olympic ComplexRussian: Olimpiyskiy kompleks «Luzhniki» or Олимпийский комплекс «Лужники», along Novoluzhnetsky DrivewayRussian: Novoluzhnetskiy proezd or Новолужнецкий проезд and Luzhnetskaya EmbankmentRussian: Luzhnetskaya naberezhnaya or Лужнецкая набережная. Many runners arrived at the starting line dressed in carnival outfits. 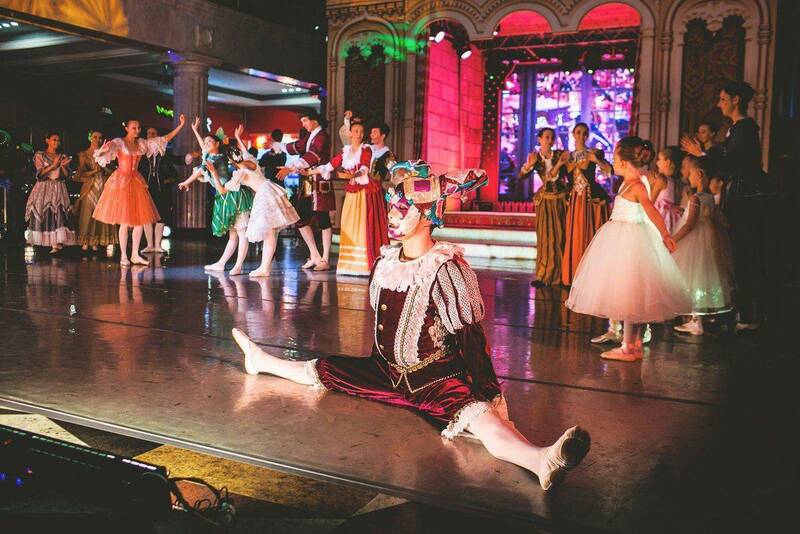 Among the participants’s costumes were film and comic strip characters, ballerinas in running shoes and fantasy creatures. In general, the focus was on having fun rather than the times, but the results clocked by fastest three men and women were recorded. 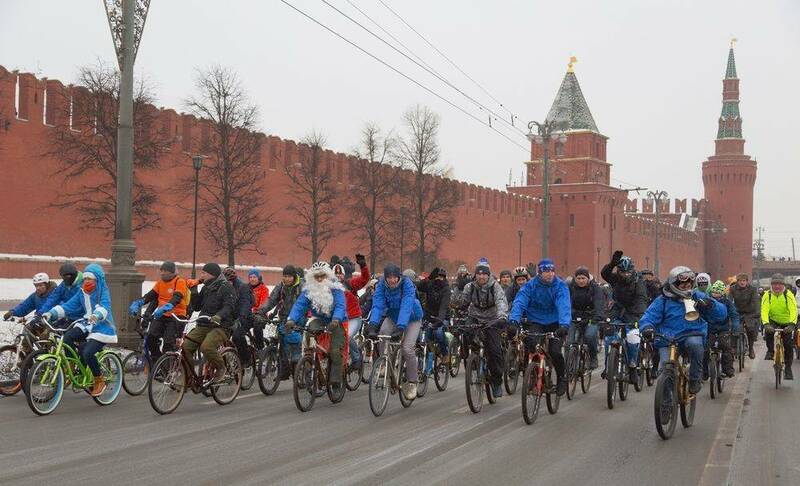 Moscow regularly holds bike parades, even in winter and at night. 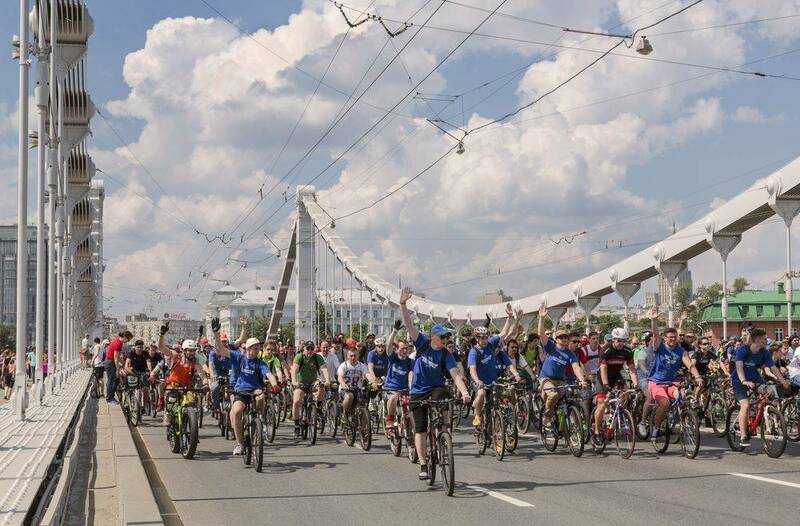 In May 2017, a bike parade was held to support Moscow’s bike infrastructure and ran along the Garden RingRussian: Sadovoe koltso or Садовое кольцо. 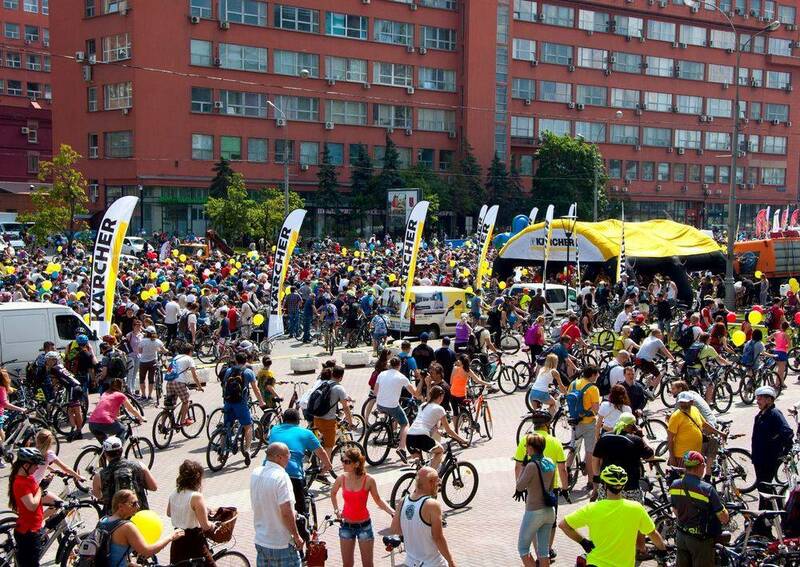 Some 40,000 amateur cyclists attended this event, dressed in bright costumes, having decorated both their bodies and their bikes. A bike parade is not a sports event, so novelty bikes also made an appearance. 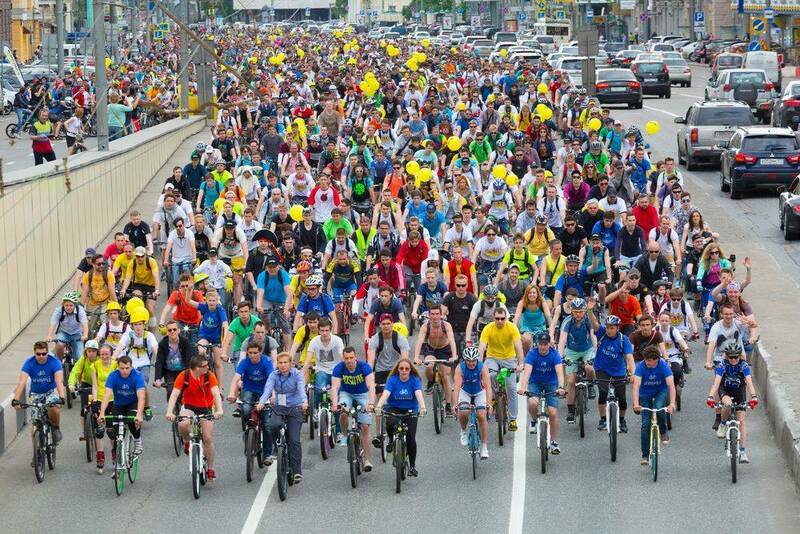 A night bike parade took place in July 2017 to celebrate Moscow Transport DayRussian: Den' moskovskogo transporta or День московского транспорта and as part of the Moscow Urban Forum 2017. 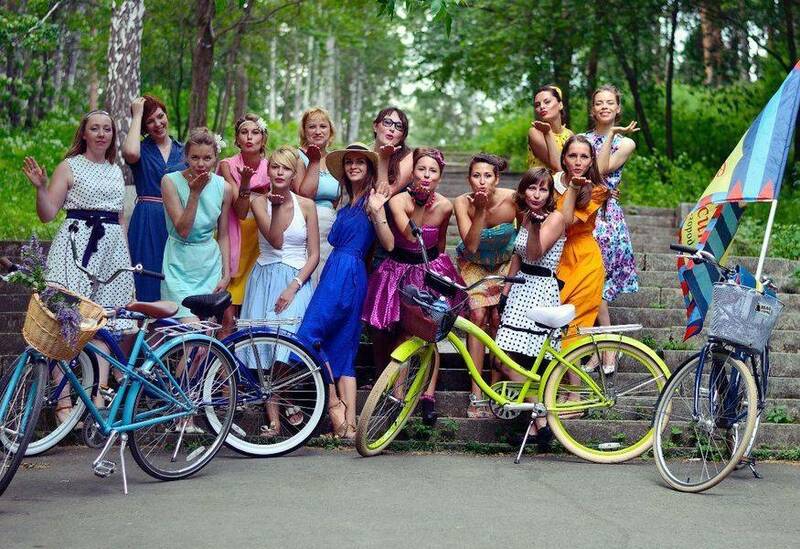 A women’s bike parade, The Lady Riding a BicycleRussian: Ledi na velosipede or Леди на велосипеде, is held annually in Moscow. Each parade is centred around a theme, which makes it special and particularly exciting. Participants prepare their outfits and decorate their bikes well in advance. In 2017, the theme of the women’s bike parade was Declaration of Love. 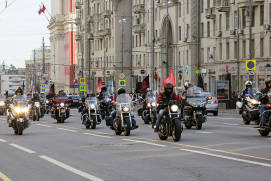 The event took place on Fontannaya SquareRussian: Fontannaya ploschad or Фонтанная площадь in the Sokolniki ParkRussian: парк Сокольники and, along with the bike parade, it featured performances by various artists, music, dances, fashion shows, classes and competitions for bike parade participants.